A great diversity talent sourcer gives businesses seeking to fill their open positions a huge edge in the marketplace. Because they have developed the necessary skills and talents in sourcing the best possible diversity candidates for their clients. Businesses are now realizing the importance of pulling together a diverse workforce. This growing awareness explains why diversity talent sourcer positions are in such high demand. When employers first realize they lack diverse candidates, they try the same talent acquisition methods they’ve always used. Soon, however, they realize how ineffective their methods are, so they search for a diversity talent sourcer who can help them achieve their goals. 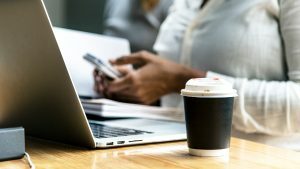 And because of the high demand for diverse candidates with the skills and abilities employers need, when you build a reputation as an effective diversity talent sourcer you’ll have clients knocking down your door to get you to fill their positions. In your day to day activities, you have developed a process for finding talent. While having a process is important, it’s even more important to prevent that process from becoming stale. Instead of “going through the motions”, a great diversity talent sourcer will be deliberate in trying to improve their performance. Look for ways to more effectively target those individuals who would be the best match for your clients’ needs. When you reduce your time chasing down leads that don’t work (for whatever reason) you’ll be more effective and will grow your reputation as a great diversity talent sourcer. Make an effort to purposely stretch yourself outside of your comfort zone. Do this by doing things you’ve not done before such as seeking to fill positions where other recruiters have failed or finding candidates for positions that you might have little understanding of. When you do this you’ll gain more confidence in your skills and become an even more effective recruiter. You strive to deliver the absolute best matches possible to present to your clients. There’s nothing quite like the feeling of knowing that you’ve done your absolute best in making a great connection for both your prospect and your client. A trained athlete or musician will spend hours upon countless hours practicing to improve their skills and performance…so why shouldn’t you? At every step in your process ask yourself if there is a way to do it better or faster. When you do this, again and again, every day, you’re building a habit of continual self-assessment and adjustments to changing environments and conditions in the marketplace. Which will help you get to and stay on top of your game? For example, let’s say you’re not satisfied with the results returned by your candidate searches so you begin to observe what you’re doing more closely. Over time, you might begin to recognize patterns from your searches that can help you narrow down those search terms with the highest possible chances of giving you better matches. Only by purposely looking at your processes will you be able to spot ways to improve your search results. One of the fastest ways to grow and learn as a diversity talent sourcer is to seek feedback from both yourself and others. Routinely ask yourself if you’re doing the absolute best at everything you set your hand to. If your self-review shows any deficiencies, then you’ll know what you need to do to resolve the problem(s). Get feedback from others too, but only seek advice from individuals with a great track record of getting results. You can also ask the candidates themselves for feedback in their experiences. This will help you understand those things you’re doing that get the results you’re after…and what you can discard because it’s ineffective or potentially harmful. Make it a point to think about every task you do. For example, if you’re leaving a message for a candidate to return your call, think deeply about what you’re going to say, rather than rattle off the same voice message you leave for everyone. In other words, think about the words and the information you’ll use to encourage your prospect to respond so you can continue building the relationship. It’s not easy being a diversity talent sourcer. Some parts of your job may feel easier than others, so don’t put off the hard tasks…do them first before moving on to things that you find easier to do. If you find that you’re satisfied with your current abilities it may mean that you’ve gotten too comfortable and aren’t challenging yourself. It’s only through a deliberate effort to improve your skills that you’ll be able to grow your level of ability. When you’re trying to improve your skills, set goals that focus on the process rather than on the outcome. Instead of getting bogged down by looking at the end goal, focus on what you’re doing every day to improve your sourcing skills. When you’re focused on those day to day things that are within your control you’ll be more effective than if you were to make your entire focus and concern about the desired results. So for example, rather than setting a goal for the number of hires you are able to achieve, focus on finding the highest number of the best possible candidates for your clients. Bottom line, if you’re focused on finding great prospects that are a great match for your clients, the results will just happen…naturally. In order to hire top talent, employers must excel at selection, and specifically master the interview process. This requires the right questions, training, follow up and system, and results in deeper candidate insight earlier in the interview process. 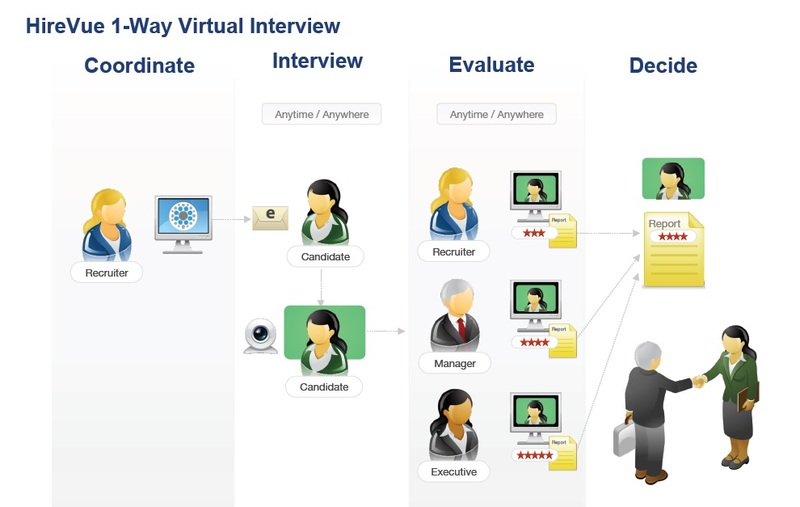 Virtual interviewing reduces scheduling time, travel costs, complexity and time-to-hire while increasing quality of new hires. Learn from Wal-mart, the largest, private employer in North America, who was the first company to introduce branded virtual interviewing booths at career fairs and student events. By developing marketing and branding strategy to complement this innovative candidate assessment approach they were able to improve candidate attraction and drastically reduce cycle time. This session will address specific functions of this approach including the power and importance of employer branding and how to partner with the marketing function and best practices for successfully implementing this system. I want to acknowledge Walmart. My commitment to Virtual Interviewing started during my tenure there. “Today I talked about the industry of virtual interviewing and virtual interviewing. HR and talent management and talent acquisition people are really using the technology for to better enable the business to deliver results through hiring great talent. We did some really cool and interesting things at the National Society of Black Engineers. We had some virtual interviews and sound-proof interview booths built to record candidate interviews at the conference. It allowed us to capture some great talent and share that talent with the hiring managers back at our corporate headquarters. You can literally share the interview with anybody, anywhere in the world.